I am so excited to tell you about this Indian Healing Clay I have been wanting to try this for awhile so when the opportunity came for me to try this I jumped at the chance. Make sure when you mix this Clay and water you get a good consistency. Make sure to get all the lumps out of it. I really do like this clay mask I mixed a little bit of lemon essential oil in with it. However it did tingle some but I am assuming this is because the mask is working. 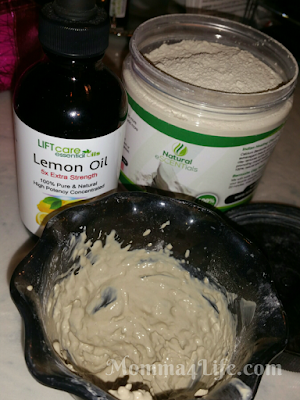 Or it could be the lemon essential oil I added to the mix. This is suppose to remove all the impurities out of your skin. That is why I say when I feel the tingling it's probably the mask working. 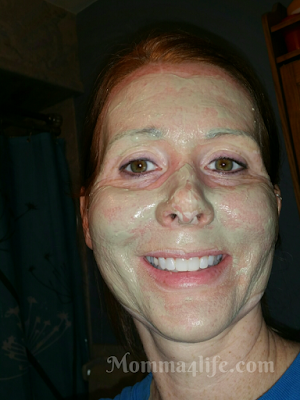 It didn't take long for the mask to completely harden and my skin felt really soft after. I left this on for about 20 min. I am actually really excited to use it again. This mask is good to use once or twice a week and I tell you what I love the way it makes my skin feel.